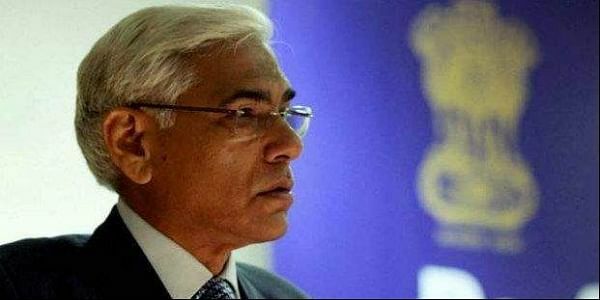 NEW DELHI: Former comptroller & auditor general of India (CAG) Vinod Rai, who was called the ‘Nation’s conscience keeper’ for unearthing the mega 2G scam, is in the line of fire after a special CBI court acquitted all the accused in the case. While the Congress is baying for his blood, former director general of audit (telecommunications), R B Sinha, who played a significant role in the CAG’s 2G report estimating the presumptive loss of Rs 1.76 lakh crore, said he was surprised by the judgment and stunned by attacks on Rai for doing a very honest job. Speaking to The New Indian Express, Sinha said he himself had seen the evidence, documents and files while auditing the 2G report. He said there could be a debate over the presumptive losses, but the illegality and irregularities found in the government files and carefully weaved in the audit report are beyond doubt. “I am really surprised. I never thought this (acquittal) would happen. Our audit report was based on evidence and that is why the Supreme Court cancelled 122 licences. The court had termed the policy illegal. Everybody talks about loss of Rs 1.76 lakh crore; you see what kind of revenue was generated after the policy was changed. We at CAG were very clear about illegality. Criminal intent alone was to be proved by the CBI, in which they miserably failed,” Sinha said. He also recalled handling some of the telecom files while the CAG team was auditing the spectrum allocation policy. He said there was no transparency in the process, adding real estate companies had floated new fronts to make easy money through spectrum allocation. “These documents were examined at the highest level and we had no doubt that rules were flouted to allegedly favour some people. We had scrutinised files from telecom and law ministries and our report gave a fair finding,” Sinha said, adding the total loss was a indicative figure based on reasonable criteria. Reacting to the Congress’ trenchant attack on Vinod Rai, RB Sinha said it left him sad because the former CAG had unearthed several irregularities and did his job honestly. “I out rightly deny political charges against Rai. I have worked with him for five years. We worked together on many reports, including 2G. He was the most professional CAG I have ever seen who had the courage to flag misguided policies of the government,” Sinha emphasised. Rai was not reachable despite repeated attempts. In his book Not Just An Accountant, Rai had defended the 2G report and revenue loss to the national exchequer. “While comparing spectral efficiency and other factors, it is fair to compare the existing 2.75G systems with 3G systems. Hence, we compared the revenue accrual of 2G with that of 3G. And this brought us to the presumptive loss figure of Rs 1.76 lakh crore." “These are merely indicative figures. They convey an order of magnitude. No doubt, the media and public imagination were captured by this figure, and the government got fixated on it. In computing presumptive losses, we have clearly stated that while the fact of loss to the national exchequer can hardly be denied, the quantum of loss can be debated,” Rai wrote in his book. Rai had blamed then Prime Minister Manmohan Singh for not standing by his beliefs during the irregularities in spectrum. Rai had said that the Prime Minister Singh was engaged in a routine and distanced handling of the entire allocation process in spite of the fact that the then telecom minister A Raja had indicated the action he proposed to take. “Insistence on the process being fair could have prevented the course of events during which canons of financial propriety were overlooked, unleashing what probably is the biggest scam in the history of independent India,” Rai had written in the book, calling the chapter ‘first come (not) first served’.